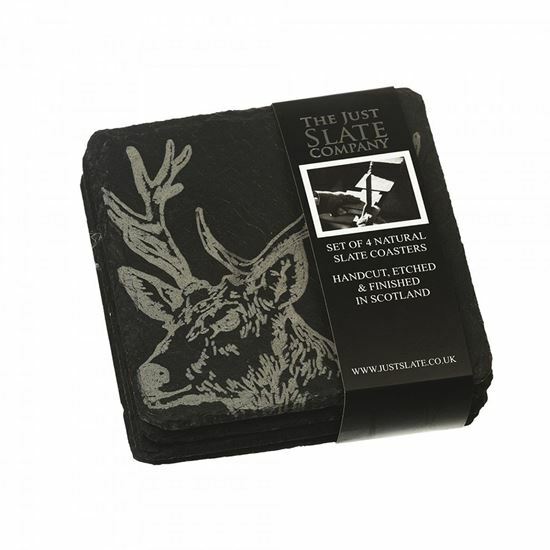 These beautiful, hand-crafted slate coasters have been engraved with a stunning hand-illustrated drawing of a noble stag. These unique and quirky slate coasters make a lovely table piece for your guests to set their drinks on. Team with our matching engraved Stag Cheese Board to complete the look.